This is the reduced content Essentials version of the Basic Platformer Complete Game Engine. This Essentials version is free for all Spriter Pro owners. 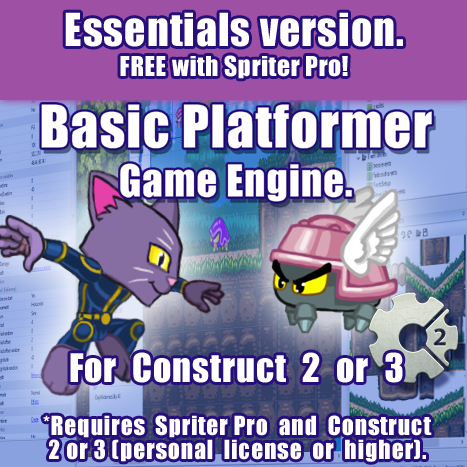 It requires Spriter Pro and a personal license or greater of Construct 2 or a subscription to Construct 3. This fixes a bug in the percentile reporting in the Save game Slot screen. You can use this video if you need to fix the bug yourself.